A happy child on a happy horse! Pony Club is one of the leading junior equestrian organizations in the world, represented throughout 30 countries! The United States Pony Club (USPC) has over 600 individual clubs spread throughout all 50 states and the Virgin Islands, with more than 10,000 members. The United States Pony Club was established in 1954 by a group who wanted a structured program to not only teach their children sound riding skills, but also how to care properly for their mount. 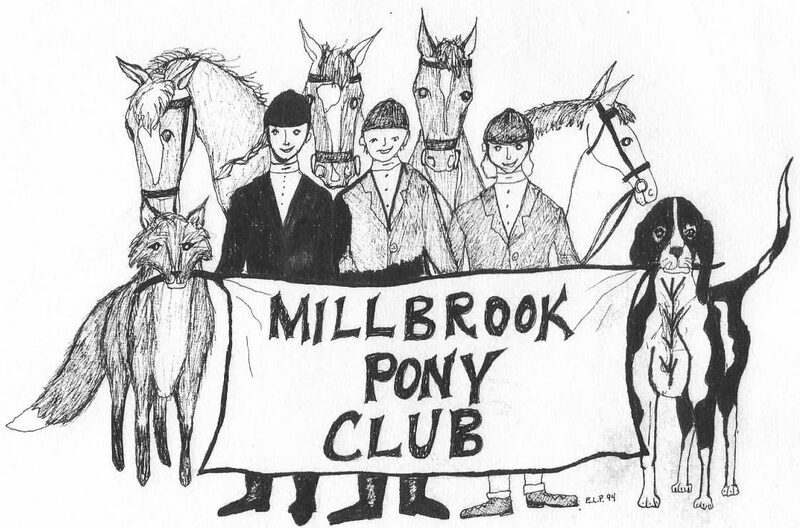 Millbrook Pony Club (MPC) is one of USPC’s 600 local not-for-profit 501(c)3 clubs. Each club is a member of a regional organization. We are affiliated with the New York/Upper Connecticut Region, which has 16 clubs. Funds to support Millbrook’s activities and educational programs are raised through modest membership dues, charitable contributions and the fundraising activities of club members and their parents/guardians. Our club is made up of members who reside in Dutchess and surrounding NY counties. All individuals who join Millbrook Pony Club must be a minimum of 7 years of age at the time they apply for membership. Members range from 7-25 years of age. As a member club, we subscribe to the Mission Statement and Guiding Beliefs of the USPC. Membership in Pony Club requires a strong personal and time commitment from our members and their parents/guardians. We encourage those interested in Pony Club to read the USPC Mission and Guiding Beliefs below and to review our website to be sure Pony Club is right for you! The well-rounded horseperson is capable of riding safely and tactfully on the flat, over fences, and in the open. Knowledgeable care of horses and ponies (horse management) is basic to the well-rounded horseperson. USPC requires parental and volunteer involvement and support. The USPC is committed to safety.